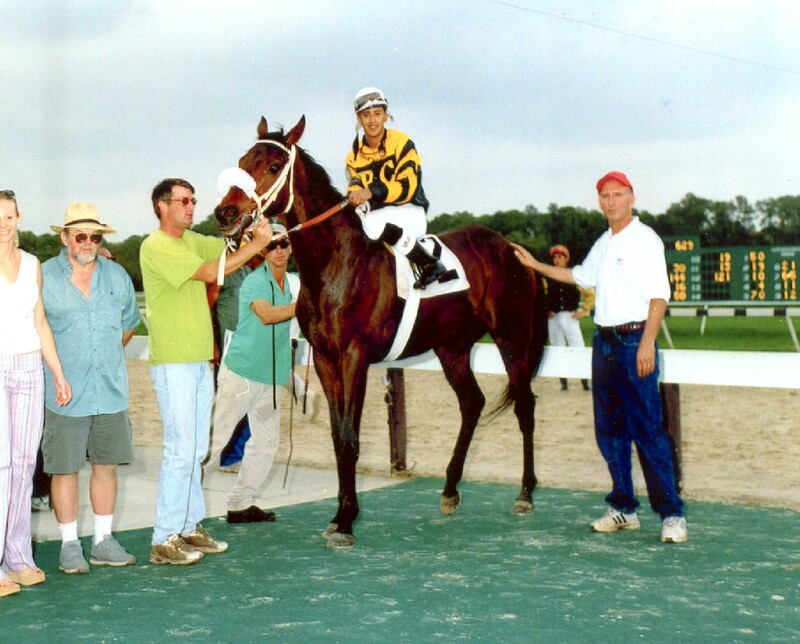 Thunder wins at Tampa Bay Downs in January 2003. 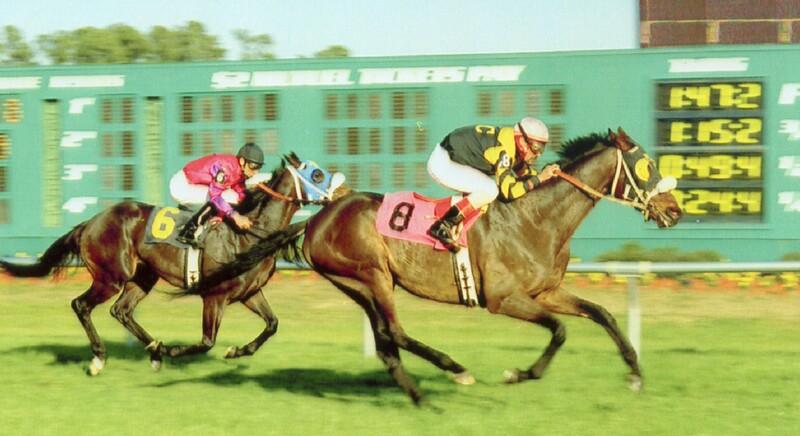 That's him in the lead near the wire in black and yellow silks, with the dark blinkers this time....and BELOW is another race at Tampa Bay Downs in March. 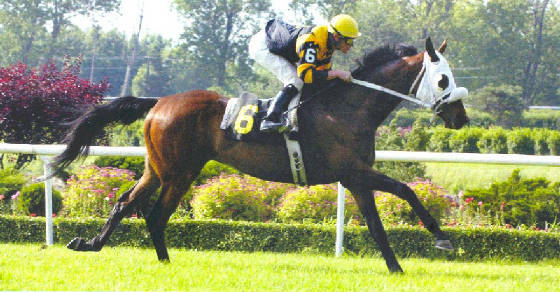 Same blinkers - that's him on the inside along the rail, he wins by a neck. ....And below is his Winners Circle photo after the race, one of his former trainers Bruce Alexander, at his hip. Thunder wins at Tampa Bay in February 2005. This was his last victory of his racing career.